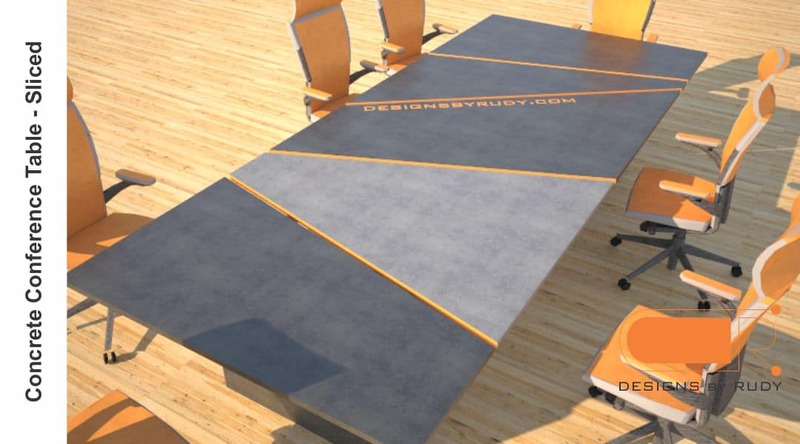 Concrete conference table “Sliced” is the third of my geometric series. 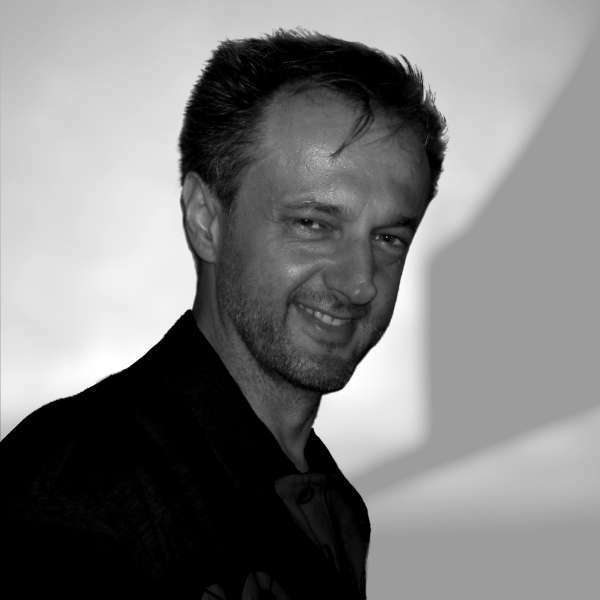 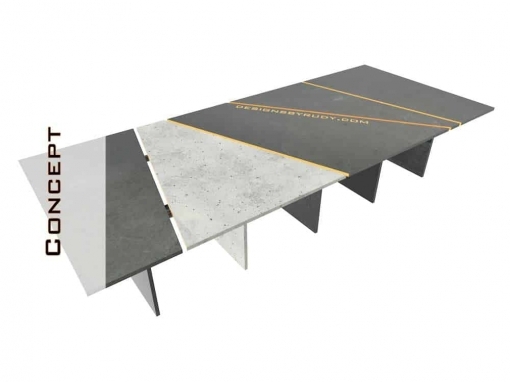 The same material – top and base elements are made out of 1″ thick fiber reinforced concrete. 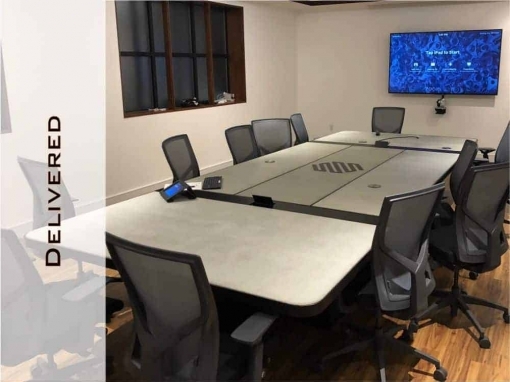 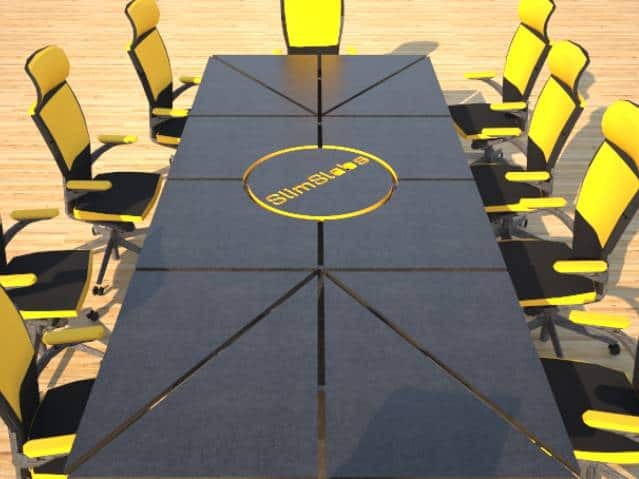 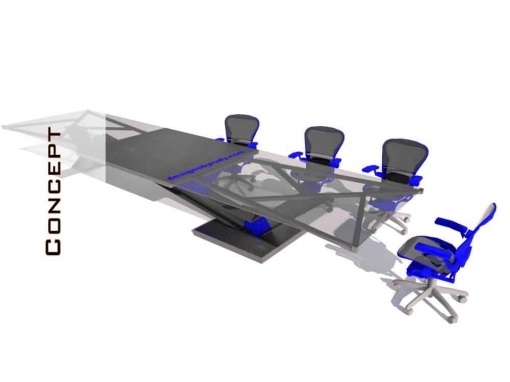 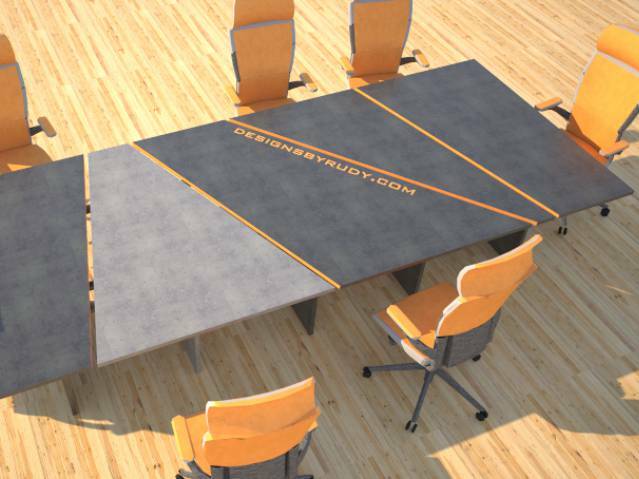 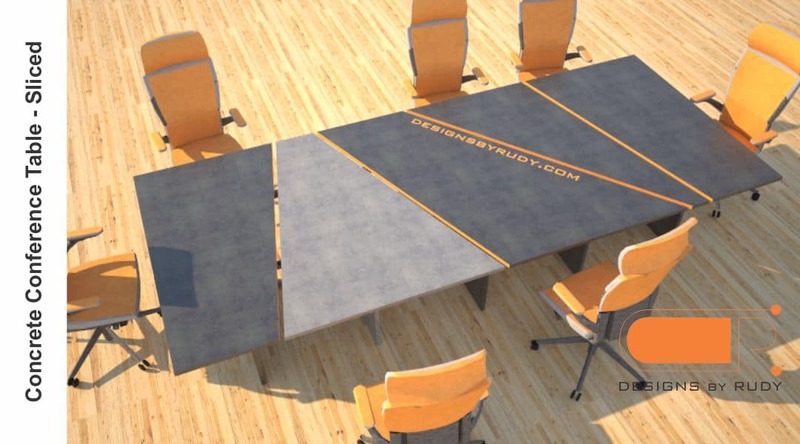 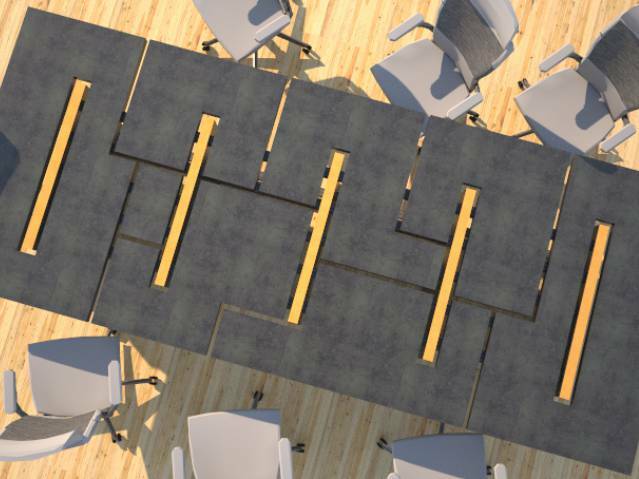 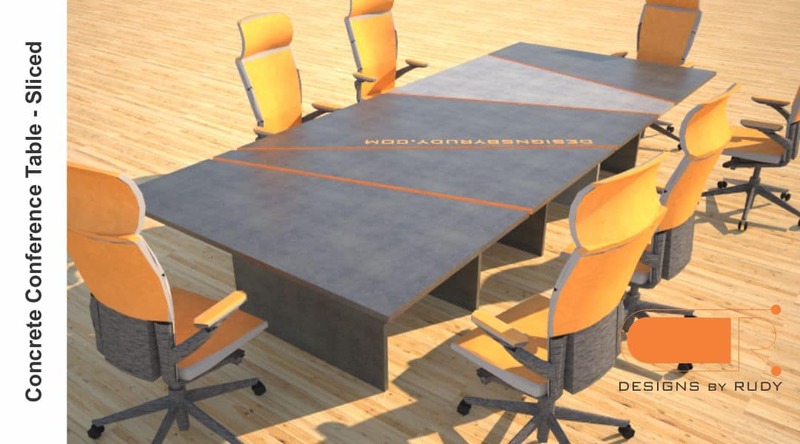 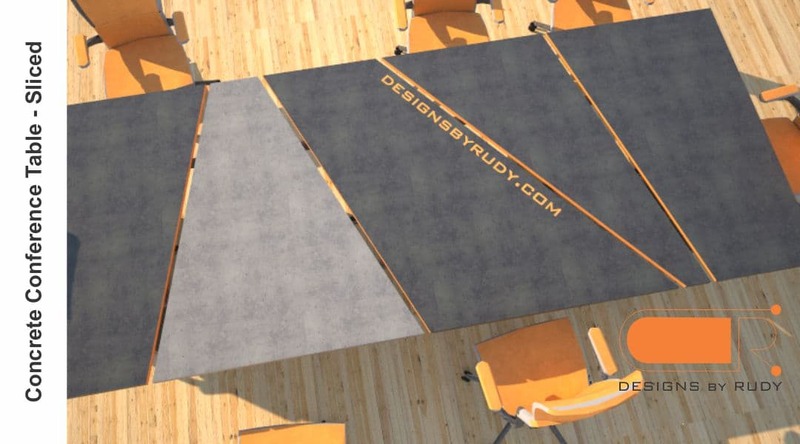 Can be customized to perfectly fit into any size conference room. 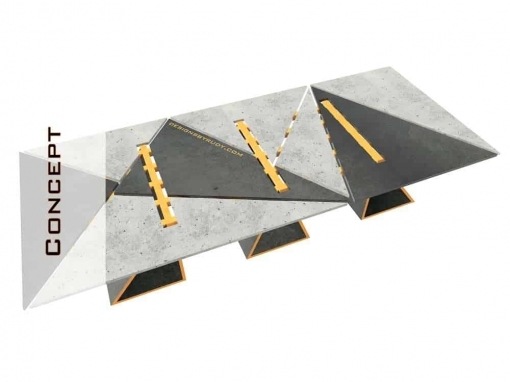 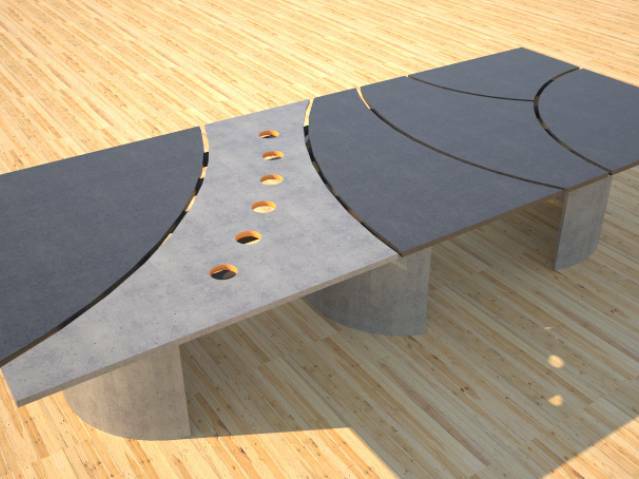 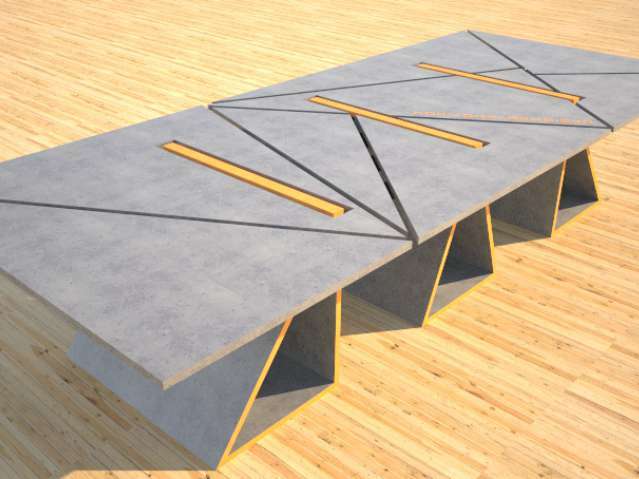 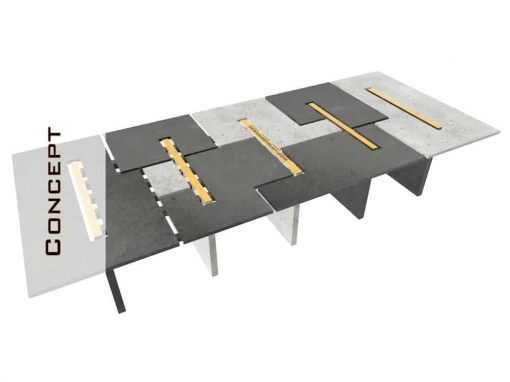 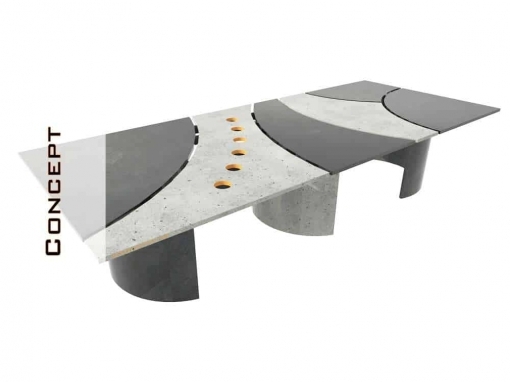 Thanks to the concrete table’s unique design its individual elements can be transported separately and assembled on site. 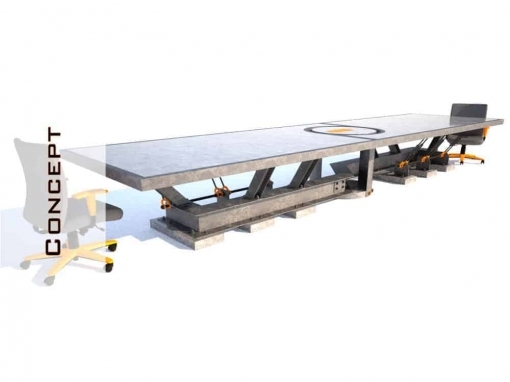 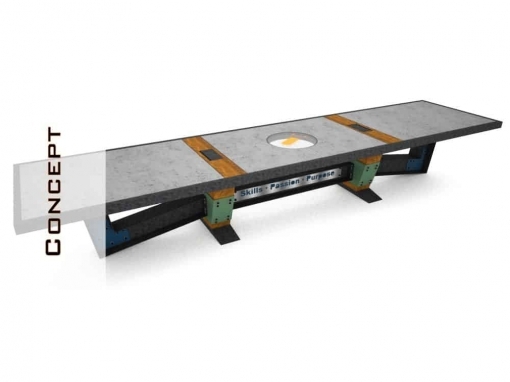 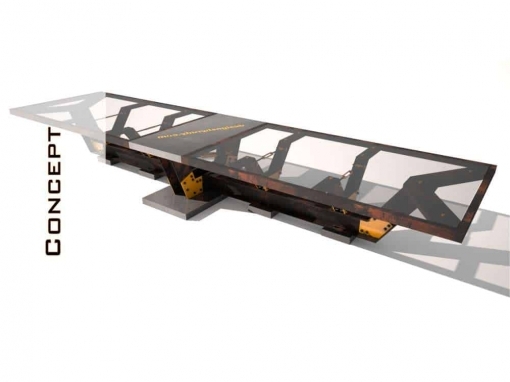 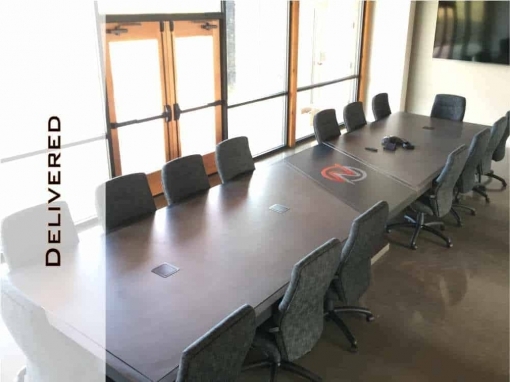 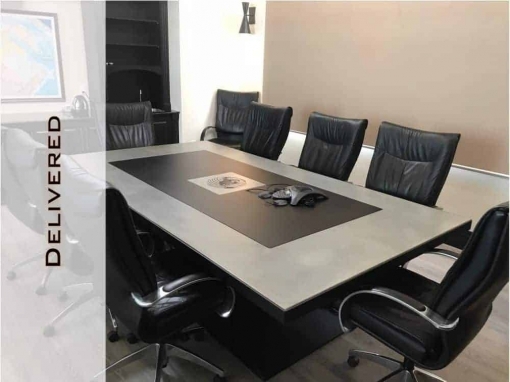 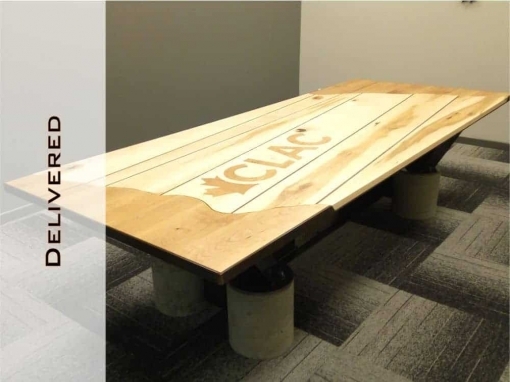 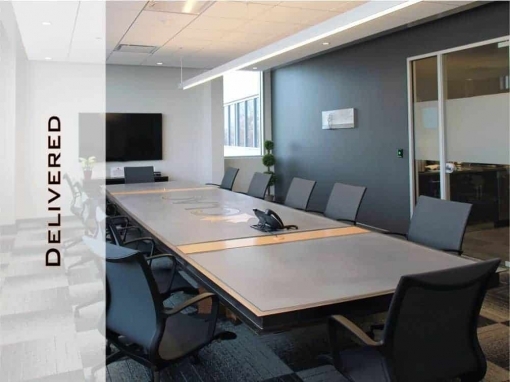 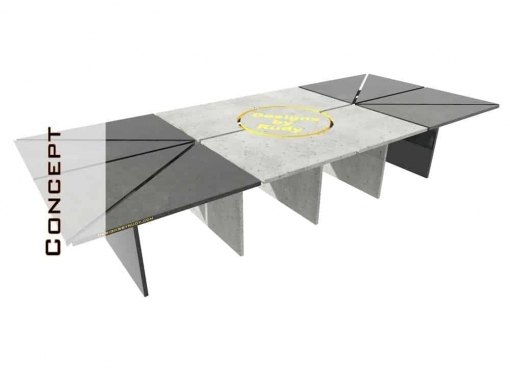 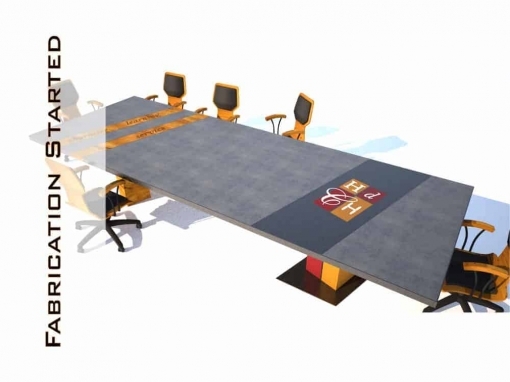 One thing you need to take under consideration is the weight of your concrete conference table, at one inch thick slab profile (top and base) each square foot of concrete weights approximately 10-12 lb’s. 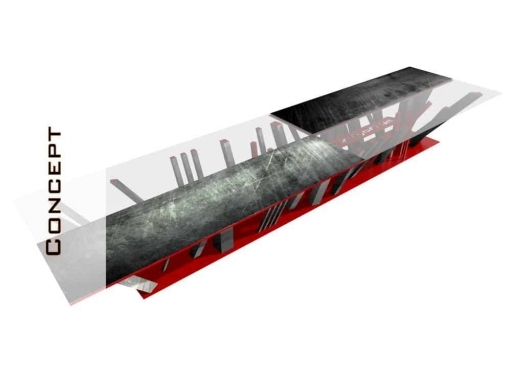 Additional weight will come from the steel railing supporting top elements.